A project in Craft Stamper magazine prompted me to try getting this shaded effect using Distress Inks. It's also similar to a cross stitch project I did years ago which had this light to dark squares as well. 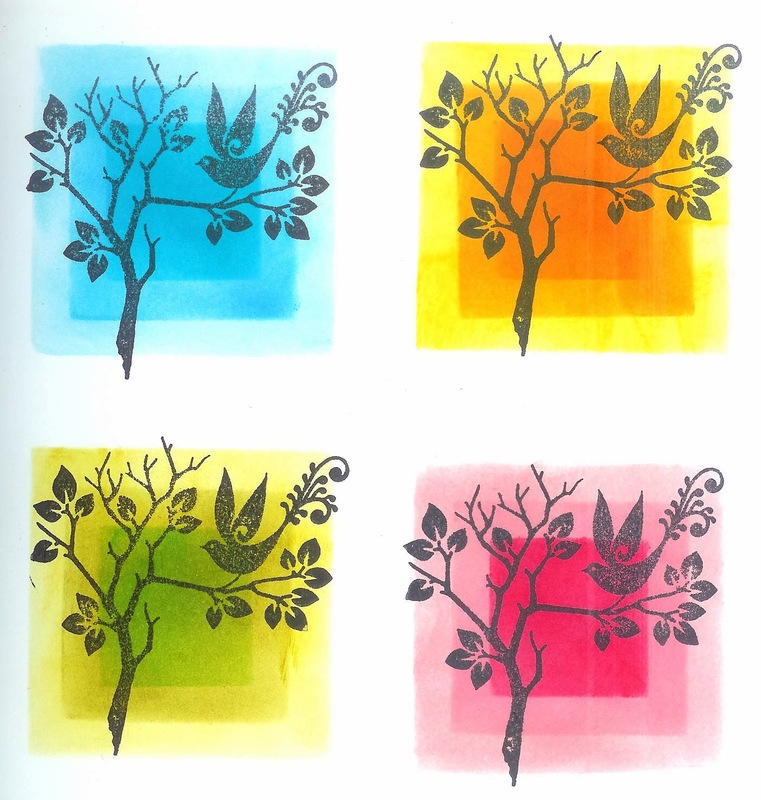 I used 3 different sizes of Tonic nesting square dies and cut masks to ink through then 3 different colours of Distress inks in each colourway to build up the look. The stamp is an old Elusive Images one which looks really good against the background. I made a card in the blue colours first but then did this page in my sketchbook as a record of the inks that went well together. I manage to do very little crafting these days aside from cards as needed hence the lack of blog posts but I'm hoping that one day I'll be more productive.